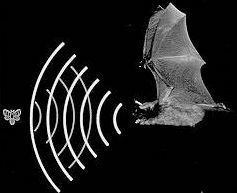 Echolocation evolved in aquatic mammals about 30 million years ago during the Eocene period. Whales and other aquatic mammals like Dolphins, Seal, Porpoise etc use Ultra sound for navigation and predation. Whales live in an environment that has acoustic characters but with low visibility due to the turbidity of water. So they use the sonar mechanism for navigation. Whales, especially Toothed whale uses Bisonar system for echolocation. Bisonar in toothed whale uses two frequencies like FM and CF for locating the objects. Sonar is a system that detects objects through sound waves. The word SONAR is the acronym for SOund Navigation And Ranging.